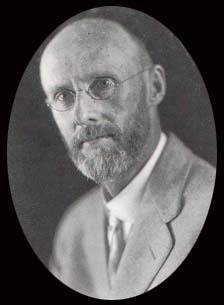 A portrait of C. L. Wasson taken in 1930. The International View Company which operated from the late 1890’s through 1910, issued high quality views on thick, curved mounts. They were made under the supervision of C. L. Wasson, the companies founder and chief operator. Their coverage was worldwide. It included views of hunting/fishing, genre, comics, the San Francisco Earthquake and many views of United States and world scenery. Their numbers reached to #20,000 and their total output was at least 8,000 different views. Most of their views were original, but some of the negatives were purchased. Among them from Alfred Campbell and William Henry Jackson. This company was also known as the International Stereograph Company and C. F. Beezley & Co. The Yellowstone views come in several series and styles. It appears that images were released from 1900-1904. The earlier views by Int’l View Co. come in beige or gray mounts and all have numbers in the 400-500’s. The later issues were by the Int’l Stereograph Co. and have 5 digit numbers, and probably at least one boxed set (numbers in parenthesis). At least two dozen Yellowstone views were produced. 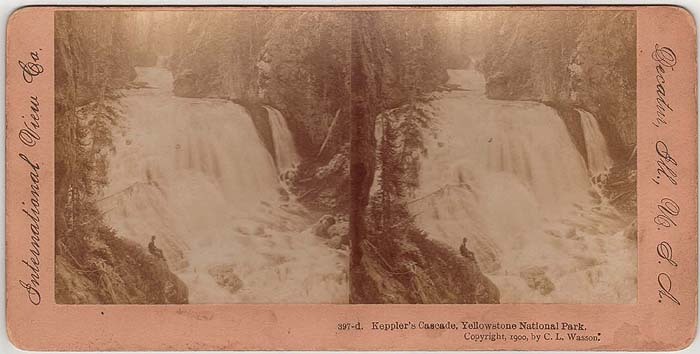 397-d. Keppler's Cascade, Yellowstone National Park. Copyright, 1900, by C. L. Wasson. 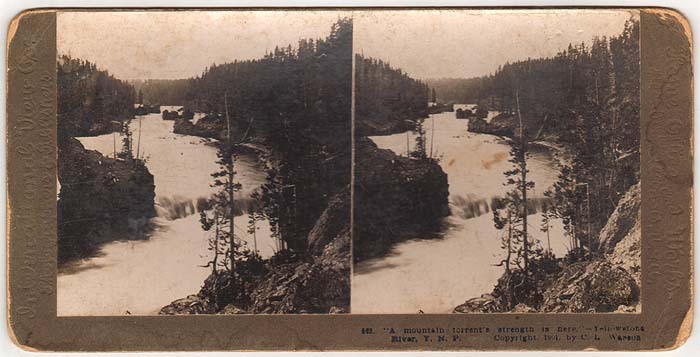 The company issued at least 4 styles of Yellowstone views. Pictured above is their beige mount (probably their first issue). This photo is of Kepler Cascades near Old Faithful. 442-d. The Lower Falls of the Yellowstone, Yellowstone National Park. The olive mounts like this one came next, but were unfortunately difficult to read. The side credits are almost illegible under certain conditions. 568 "A mountain torrent's strength is here," – Yellowstone River, Y.N.P. Copyright, 1901, by C. L. Wasson. In 1901 Wasson came out with gray mounts. Still the publisher credits are extremely hard to see. Copyright, 1902, by C. L. Wasson. In 1902 the company began to use black printing and the difference is quite noticeable. Wasson kept this basic look for the remainder of the company’s operation. 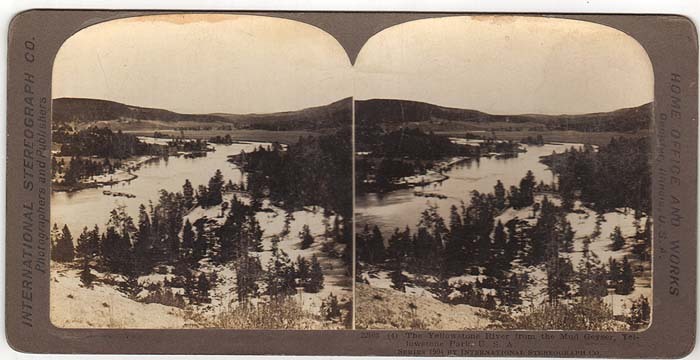 22103 (4) The Yellowstone River from the Mud Geyser, Yellowstone Park, U.S.A.
SERIES 1904 BY INTERNATIONAL STEREOGRAPH CO. 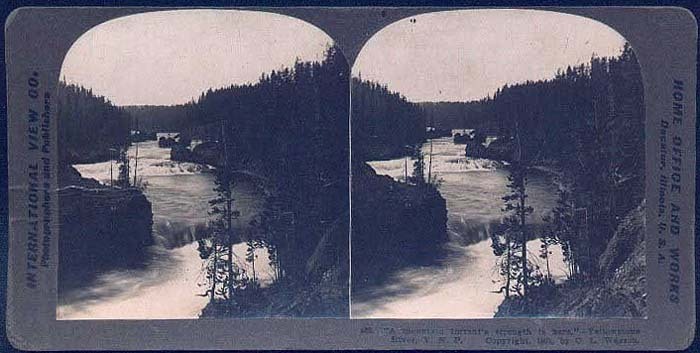 The last issues had the new name, "International Stereograph Co." This view shows the Yellowstone River near the Mud Volcano area between Fishing Bridge and Canyon.